Florida Hospital will host a job fair and virtual hiring event on Tuesday, May 23rd, 2017 from 9:00 am to 1:00 pm. 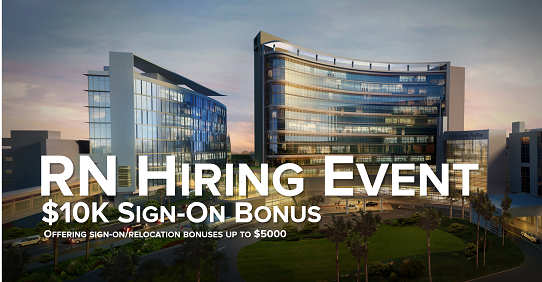 The hiring event will take place at the following Florida Hospital locations: Altamonte, Apopka, Celebration, East Orlando, Kissimmee, Orlando (includes Florida Hospital for Women and Florida Hospital for Children), Winter Garden, and Winter Park. For more event details and information on the Virtual Event, please visit www.workatfloridahospital.com.